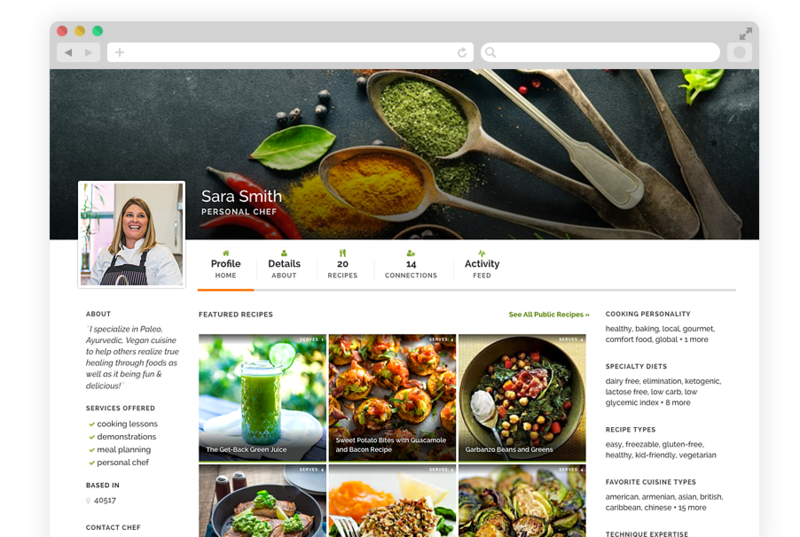 For the busy culinary entrepreneur who needs to manage clients & recipes, automate cook dates and connect with peers & prospects. 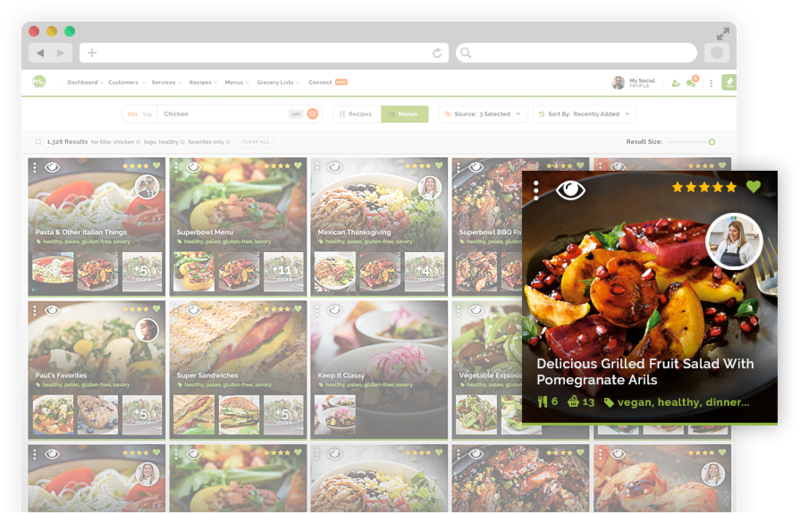 Import recipes from popular software programs, search the web, use our one click import tool to add from popular websites or access other chef’s shared recipes to build your collection. Create and share menus, scale servings, and use ‘tags’ to keep things organized. Import customer data from CSV files, track service history, notes, favorites, dietary exclusions and restrictions. 11 years of data imported to a new, beautiful, easy-to-navigate website that will do it all! I couldn't be happier. 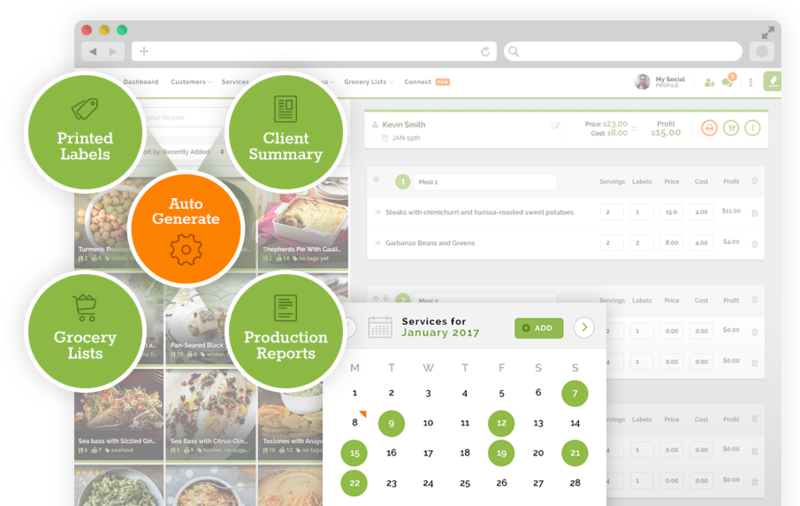 Quickly create date menus (we call them services) via powerful search of your recipe and menu collection or copy prior services. 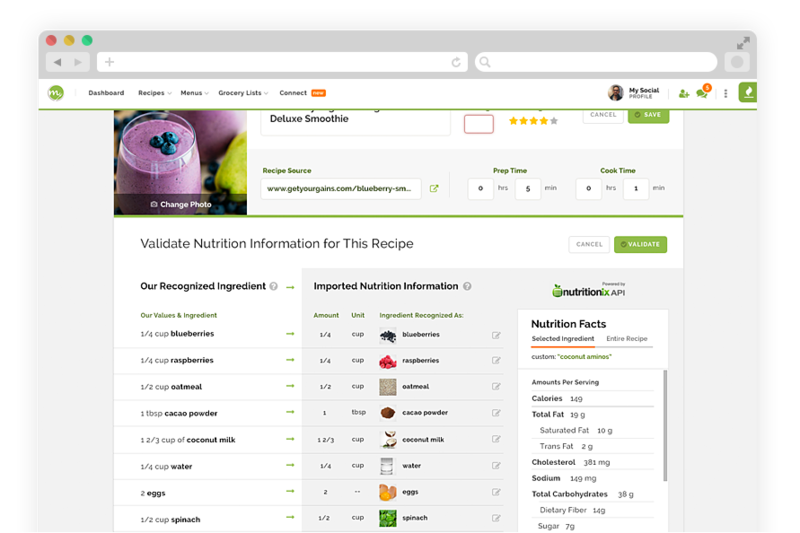 Access customers favorites, exclude recently served recipes and be warned of excluded ingredients. Scale servings, calculate profit margin and track equipment required. 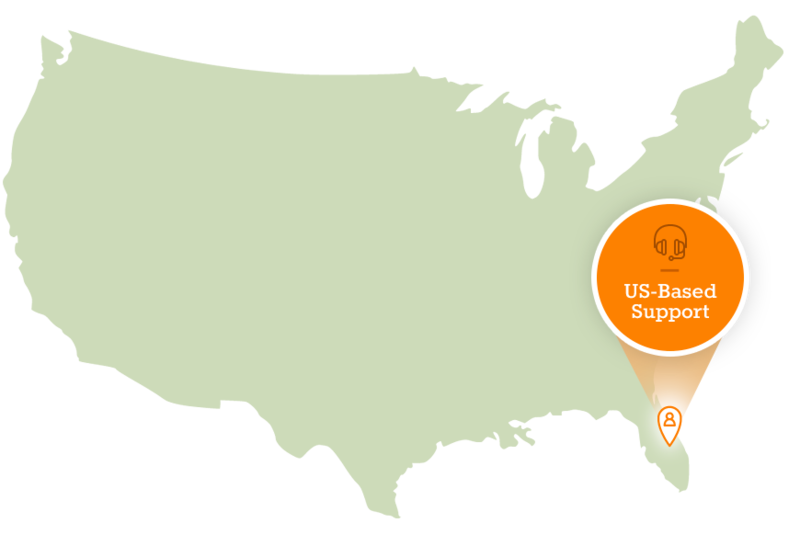 Instantly generate serving labels, client summaries, production reports and grocery lists. Just think about how much time you typically spend preparing printed menus, grocery lists, and stylish labels. Now imagine that all being slashed by at least half. 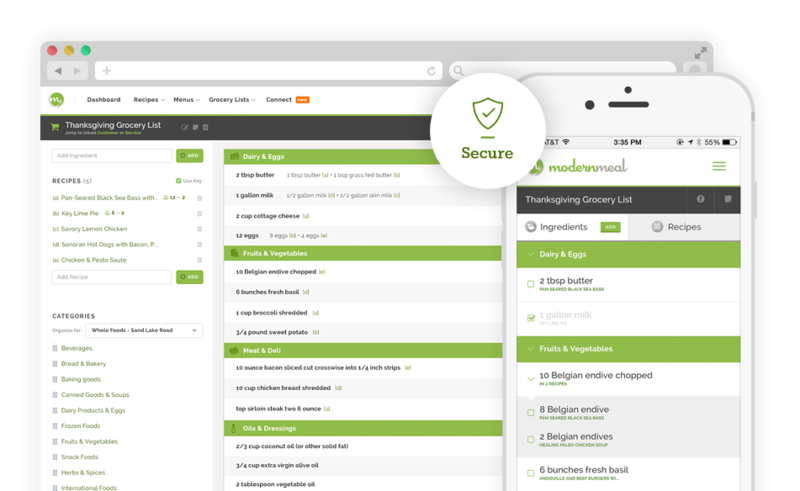 Modernmeal Connect allows you to find and interact with other chefs based on diet, technique, cuisine, location and much more. Connect to exchange ideas, recipes and even full menus with private messaging. 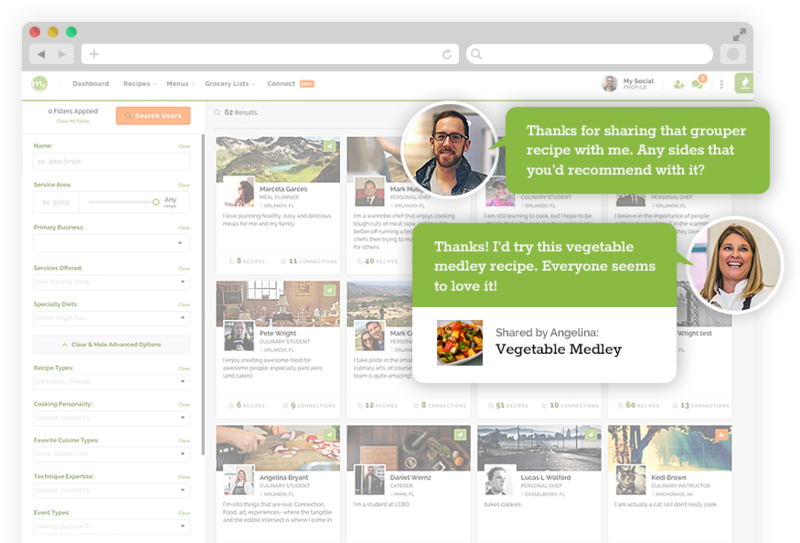 Our activity feed allows for posts, group comments and exchange of recipes & menus. Access the collective knowledge or other users to help you solve problems & grow. just signed up and am amazed how much easier my job (and life) have become because of it! Keep up the great work!!!! !